The Welcome Centre has been awarded the Kirklees Volunteer Quality Award. This award recognises organisations that are following national good practice in how they involve volunteers. Receiving the quality award demonstrates that an organisation values volunteers and offers them a high quality, positive experience. Volunteering Kirklees were delighted to present The Welcome Centre with this award. The assessment panel were particularly impressed with the training and induction provided to volunteers and how they are kept up to date and involved with The Welcome Centre. The assessor really enjoyed her visit and it was clear that volunteers were supported and valued at The Welcome Centre. I feel proud to be part of such a worthwhile organisation. I'm very pleased that the hard work of the volunteers has been recognised. Such a friendly, helpful and kind group of people. The Welcome Centre is such a friendly, rewarding and fulfilling place to volunteer. Thank you to Lada and the staff for making it so. We're incredibly proud to have achieved the Kirklees Volunteering Quality Award in recognition of our volunteering standards. At The Welcome Centre we rely on a team of hard-working, enthusiastic, committed volunteers; we couldn't do what we do without them. We work really hard to make our working environment supportive and inclusive for all our volunteers, in all aspects of their work. 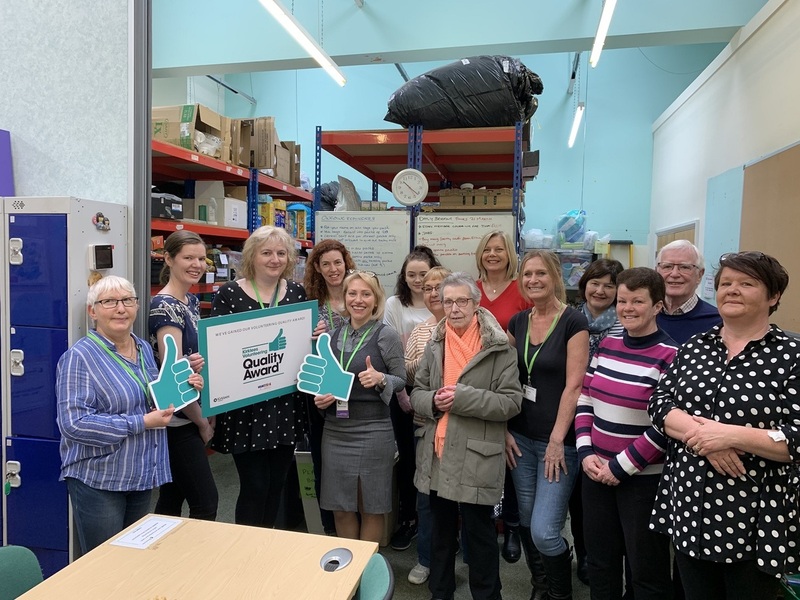 Thank you to Volunteering Kirklees for recognsising our efforts, and thank you to all of our volunteers for being part of The Welcome Centre team!